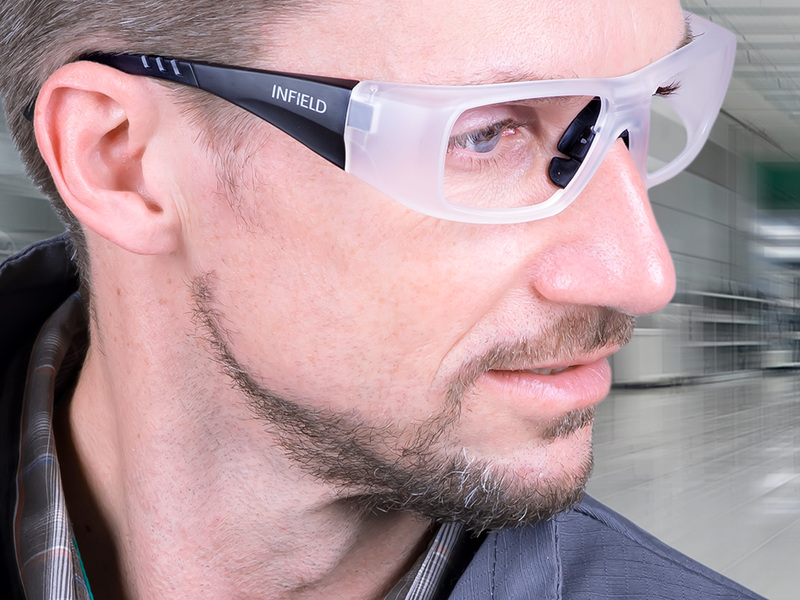 See our new catalogue "EYE PROTECTION"
INFIELD – Safety Solutions for your protection! 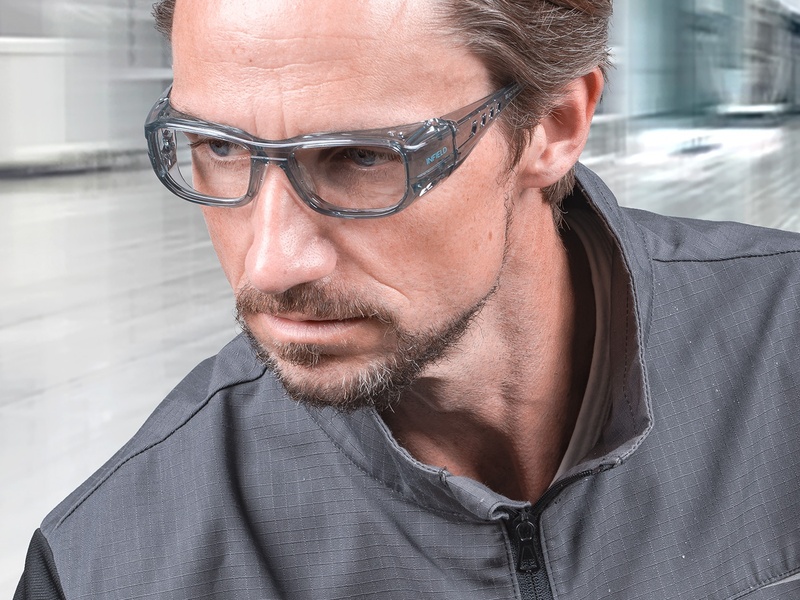 INFIELD Safety is a manufacturer of tailored, high-quality safety spectacles and individual hearing protection devices. 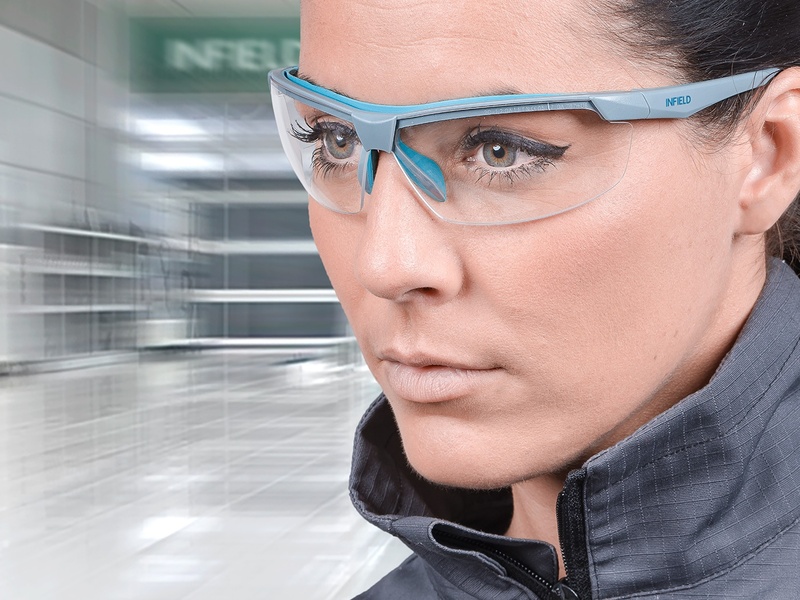 Since its inception in the 1990s INFIELD SAFETY has specialized in all issues concerning vision in the workplace and been a major presence in the market for personal protective equipment (PPE) products. 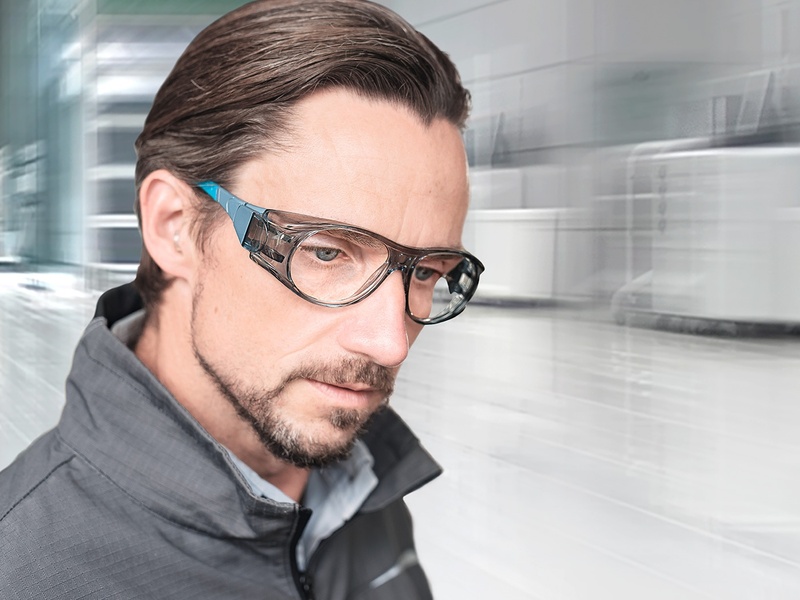 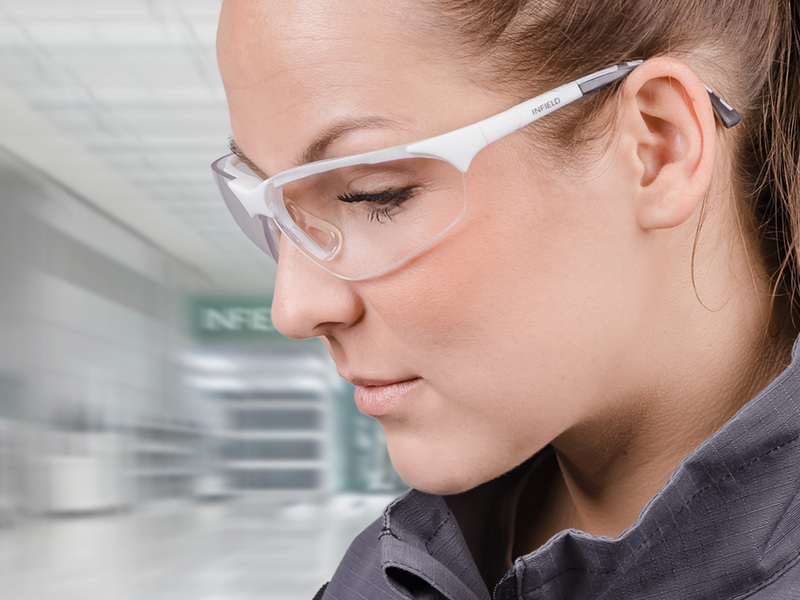 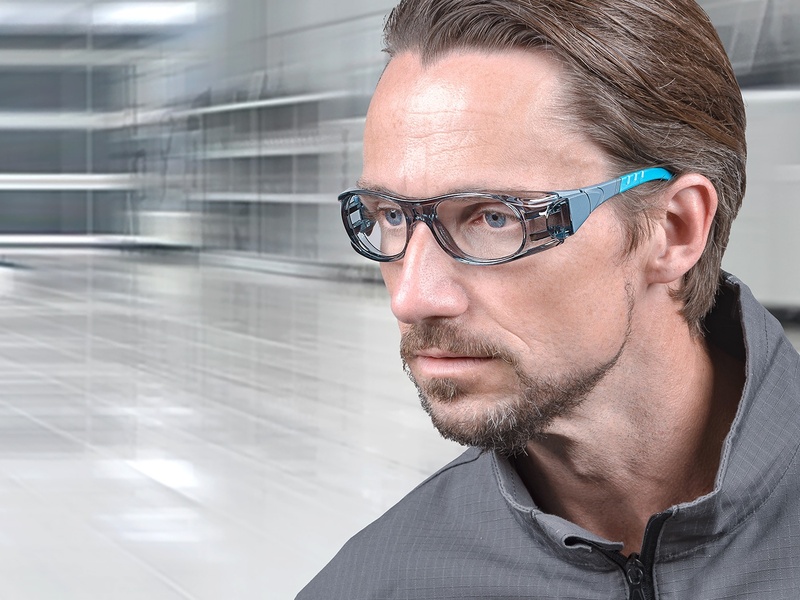 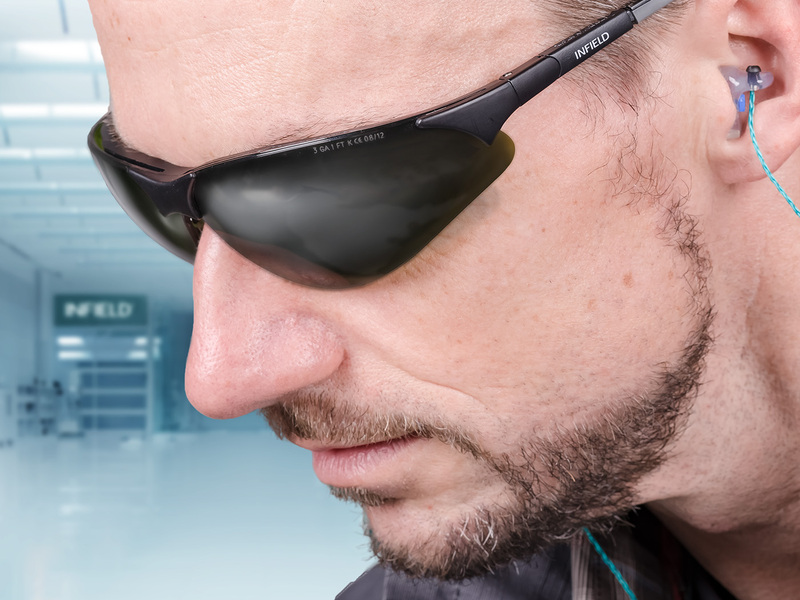 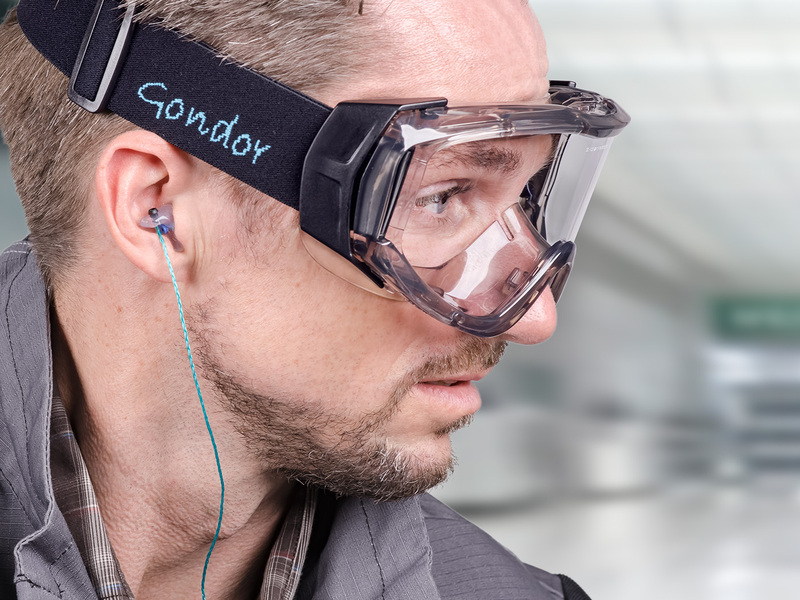 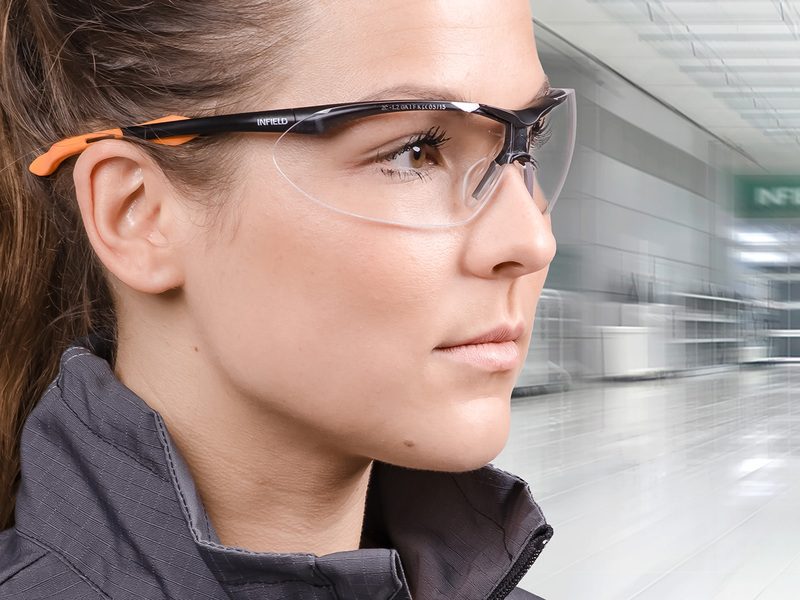 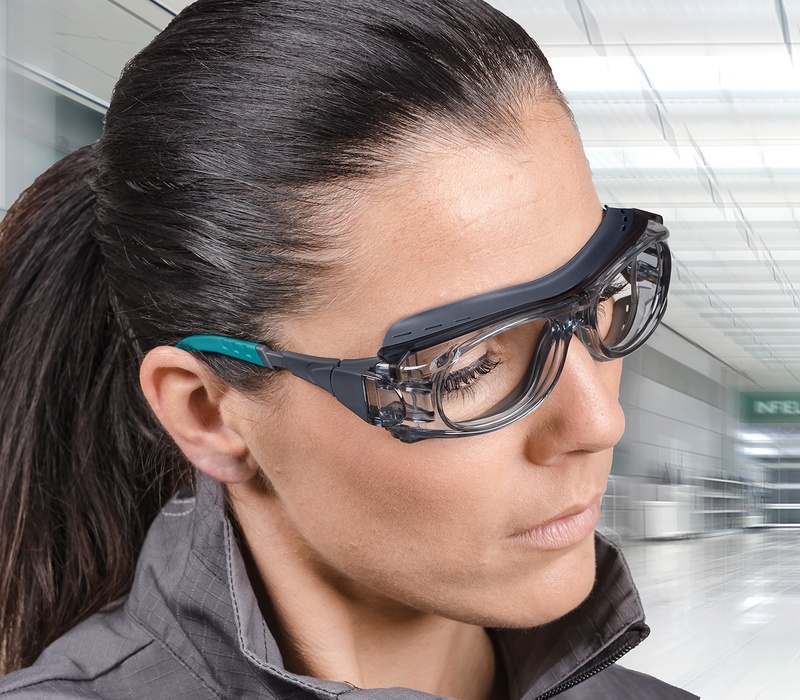 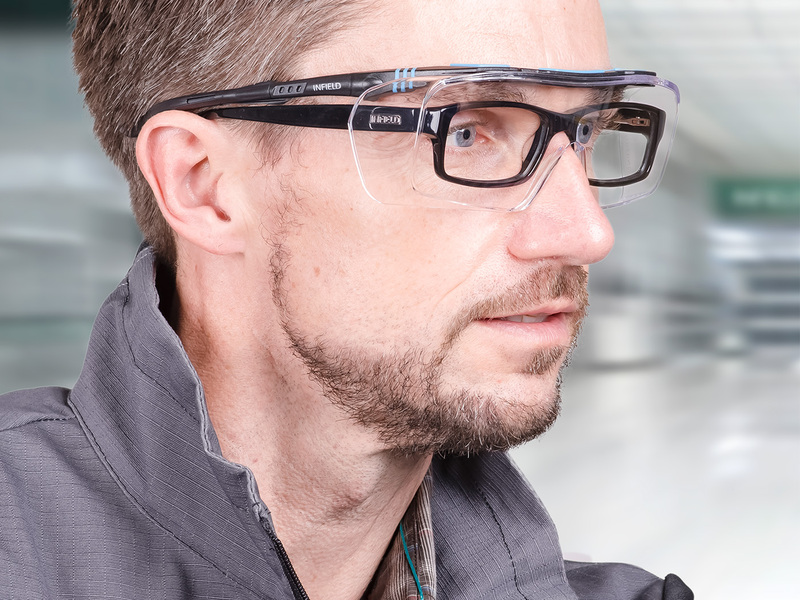 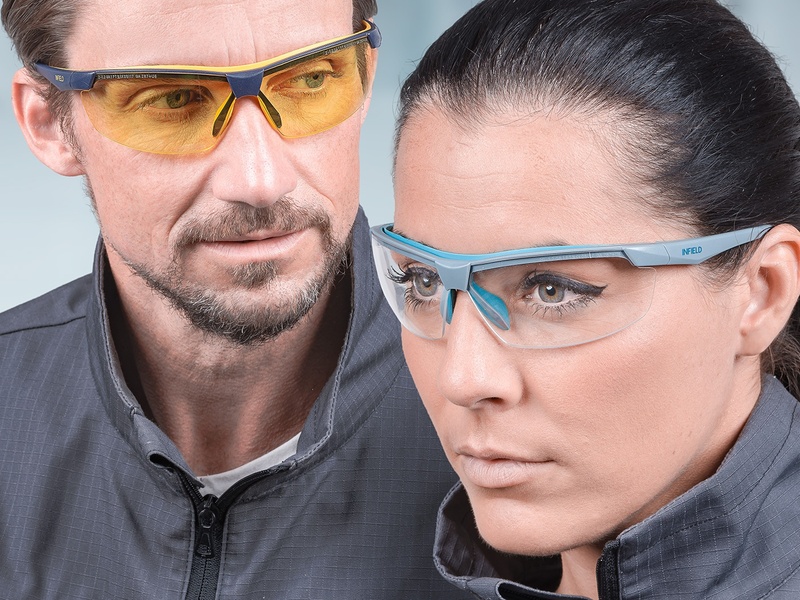 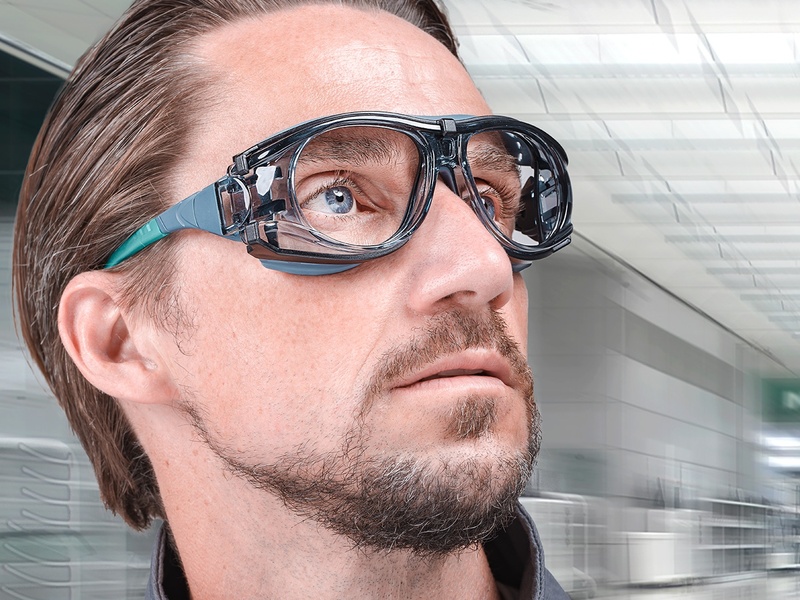 Particularly in the provision of safety spectacles for spectacle wearers (corrective protection glasses) INFIELD Safety now leads the market in Germany. 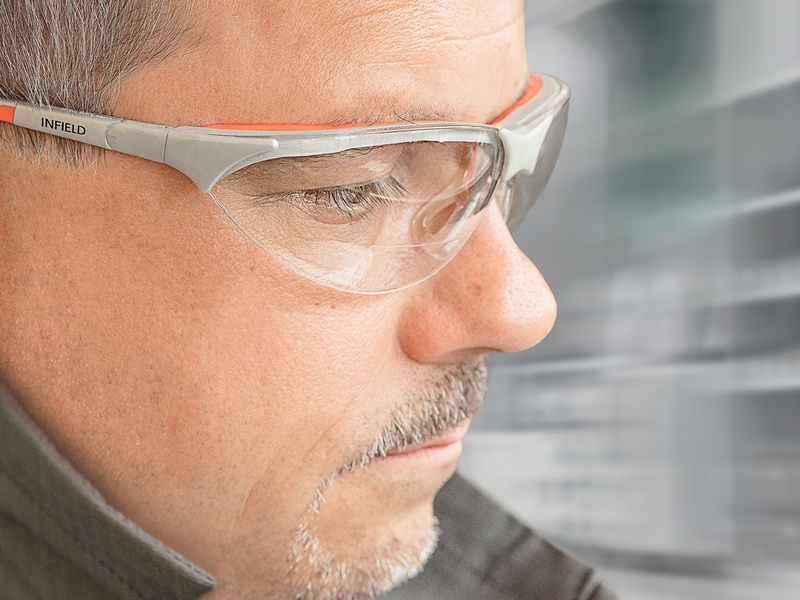 For over 25 years great emphasis has been placed on functionality and design in the manufacture and development of safety spectacles. 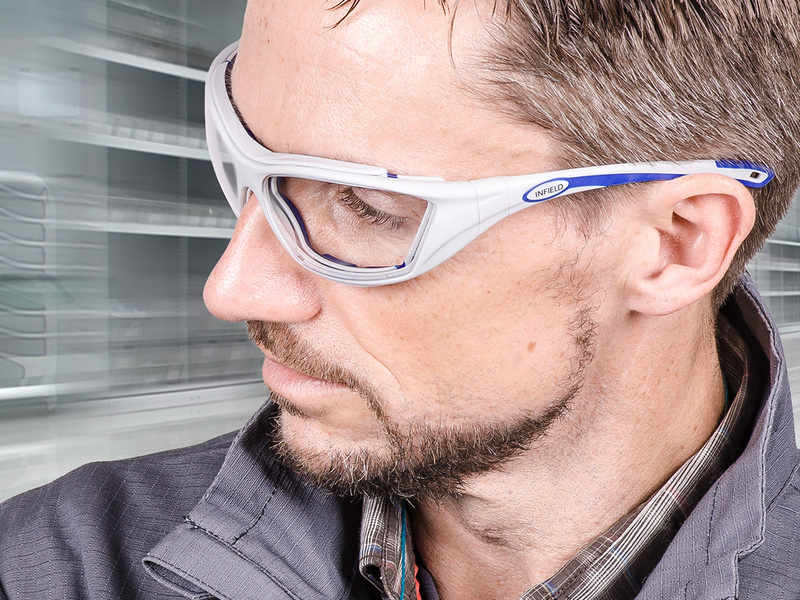 Supplying glasses for use with visual display units is also becoming more and more important. 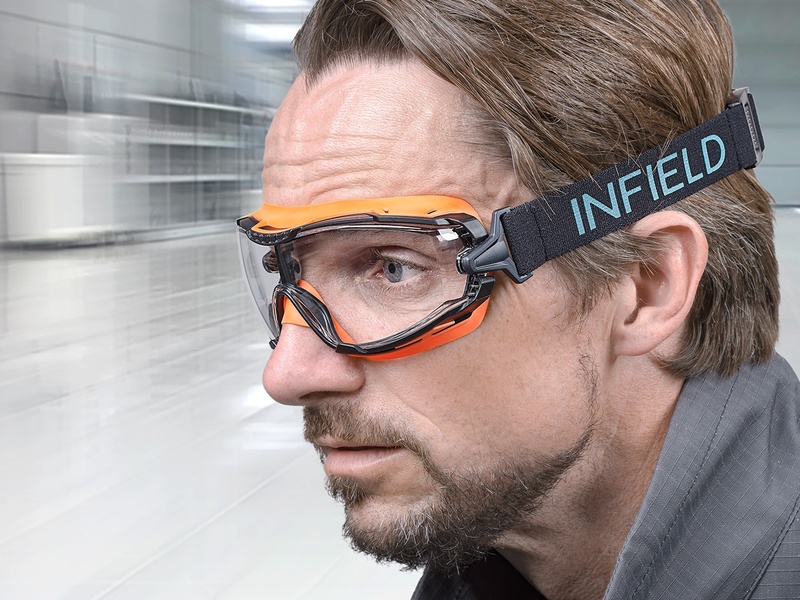 Here too, INFIELD Safety offers individual solutions. 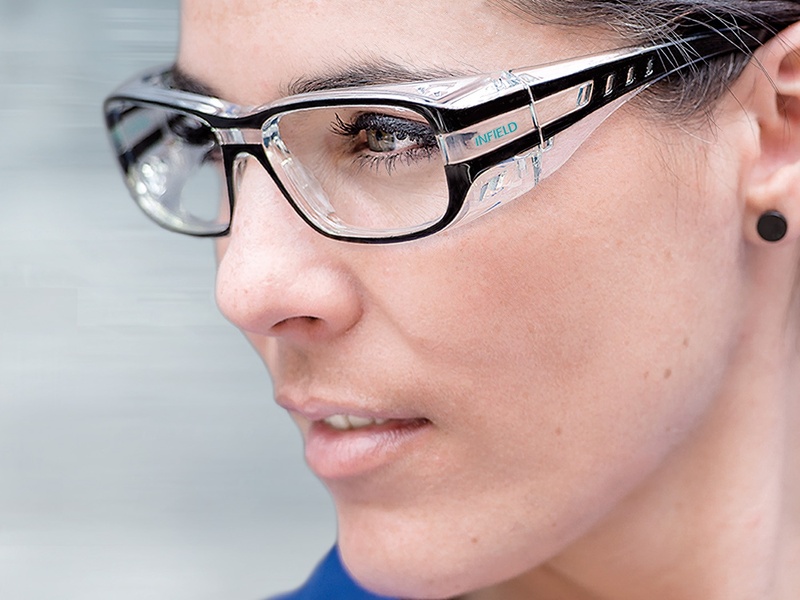 INFIELD Safety is a member of the Essilor Group, the global market leader in spectacle lenses. 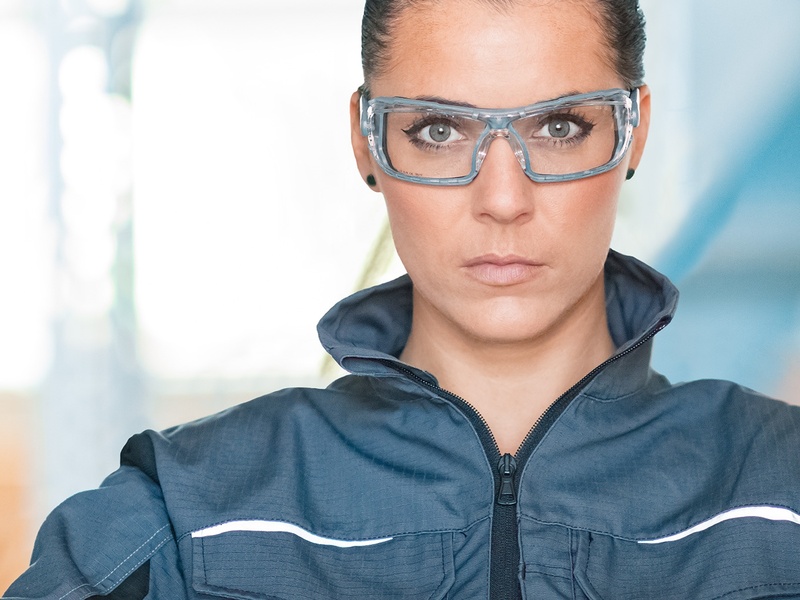 The success of the group, which operates in over 100 countries, is based on an old unbroken strategy of ongoing development for more than 160 years. 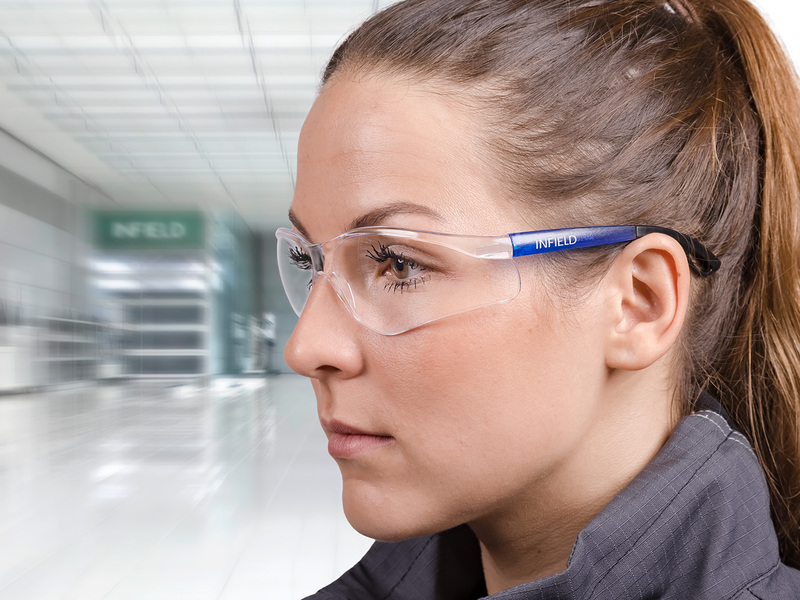 From design to production INFIELD Safety develops a wide range of products that support, correct and protect the human eye.